Dare to fall in love! Hear the voice of the Bride inviting you to encounter the glory of our Father God in the image of Jesus Christ. Flowing out of her pursuit of divine intimacy, Cherie Blair presents a timely, powerful, and captivating cry of a lovesick heart as she proclaims the splendor of our Beloved. A banqueting table has been lovingly prepared. Push delete on the busyness of your life to partake in the delicacies of this literary feast! 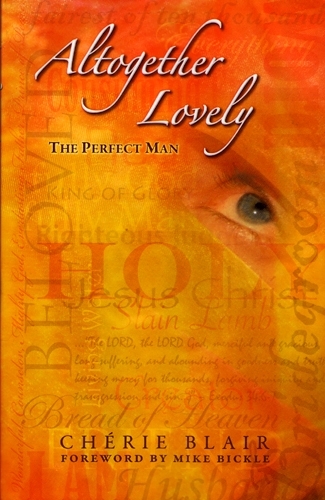 Cherie’s composition will become a heart reality as you pause to verbalize Scripture and worship Jesus, who is Altogether Lovely – The Perfect Man. Chapter 1: What is Your Beloved? Cherie Blair is involved in ministry at the International House of Prayer (IHOP-KC) Missions Base in Kansas City, Missouri. She expresses the testimony of Jesus Christ through various forms of creativity. May the Lord reveal His Name as you turn your eyes to gaze upon His beauty.